Welcome to Team Tuesday. 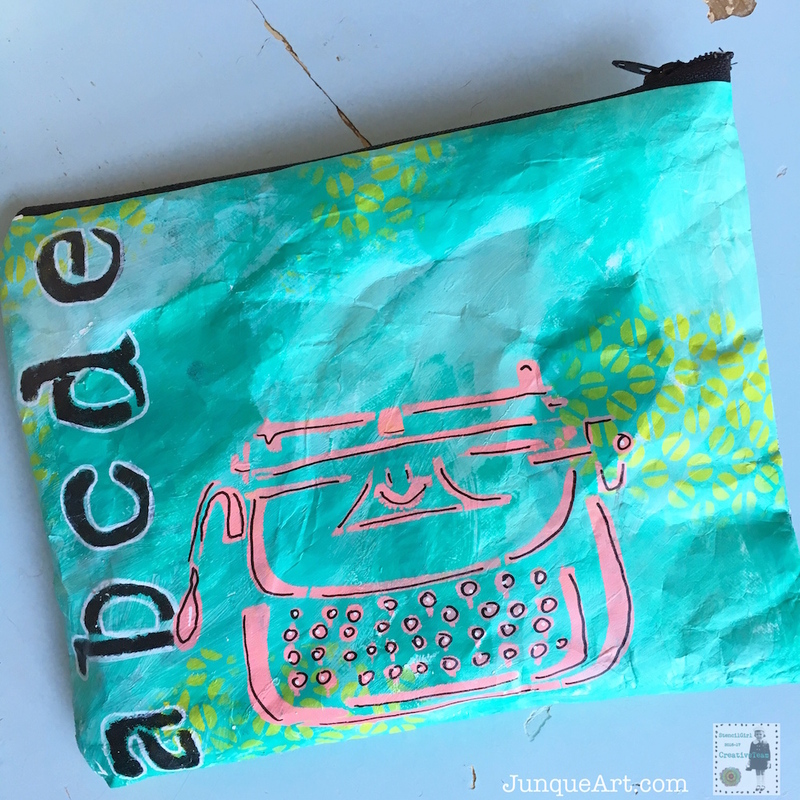 I'm Cindy from Junque Art and I'm excited to show you how to make a fun pencil case from a recycled tyvec envelope. This little project is fun and easy to make. I'm using it for a pen case for on the go art journaling but you could use to store anything. You only need a few supplies. 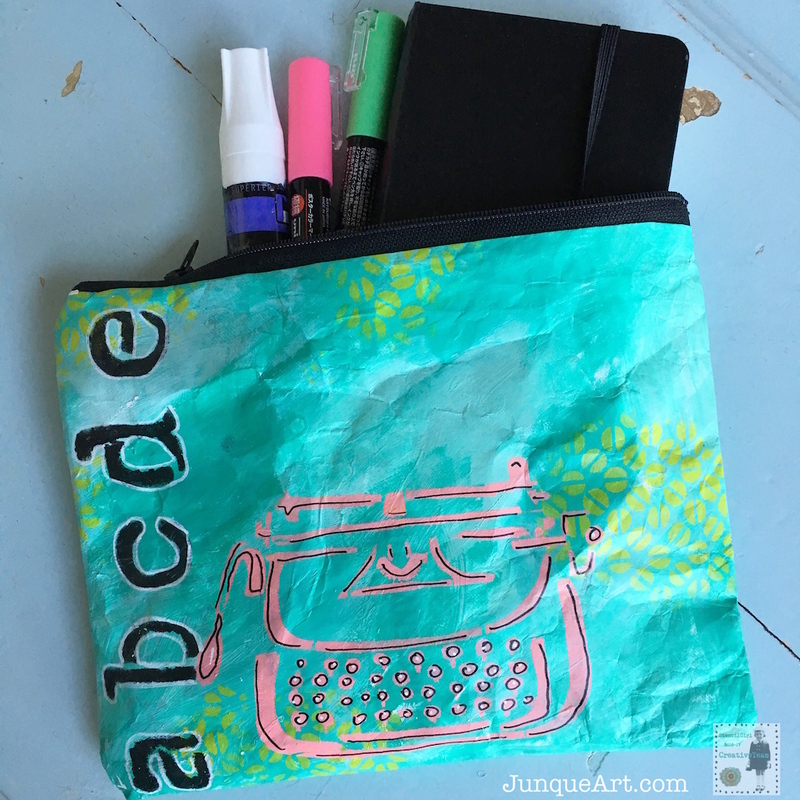 Stencils (of course), paint, paint markers, a tyvec envelope, zipper, scissors, pencil, sewing machine (or you could hand stitch). 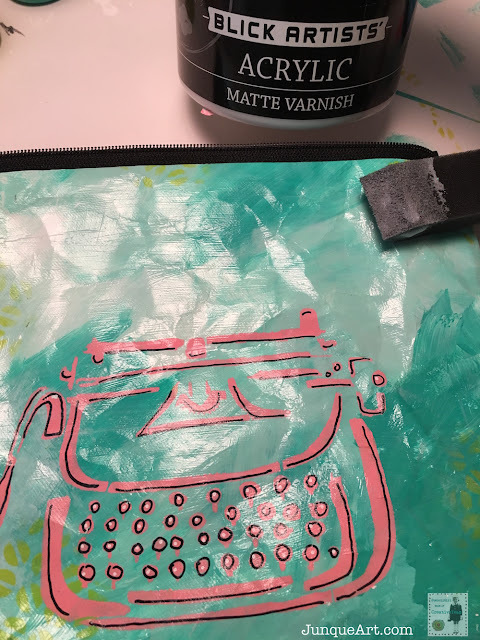 I used the following awesome StencilGirl stencils to create this cute little case. A Tyvec envelope makes a great pouch because of it's sturdiness. It is water proof and tear proof. If you can't find any tyvec you can use fabric or canvas. 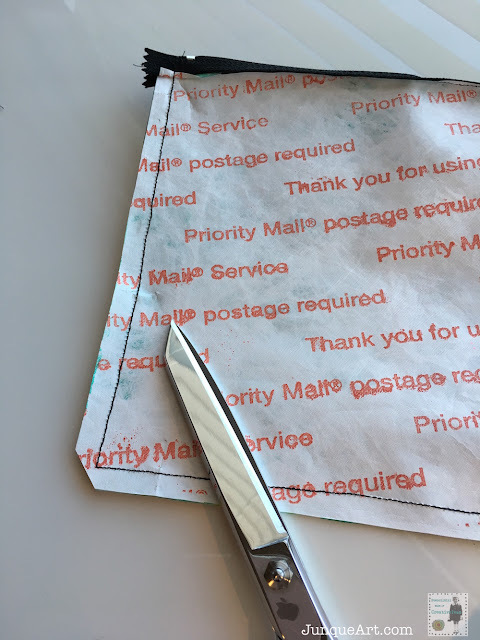 Measure and cut your envelope to your desired size. 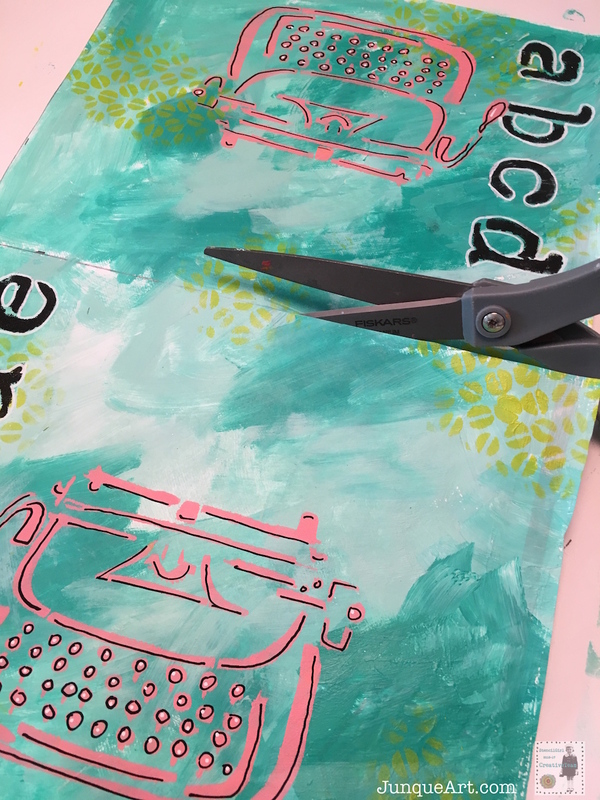 I cut mine 9 1/2" x 15". 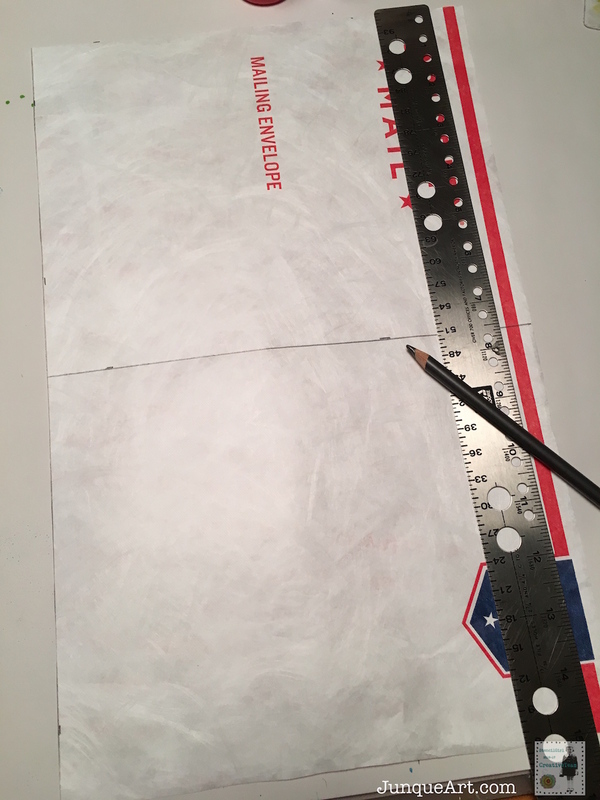 This will make a 9" x 7" case (this includes a 1/4" seam allowance). I left mine as one big piece to paint on and marked my center to cut apart later before I start sewing. Since I was using a recycled envelope mine had print on it. Paint your envelope with white gesso to cover up all the print. I had to do two coats to cover it all up. 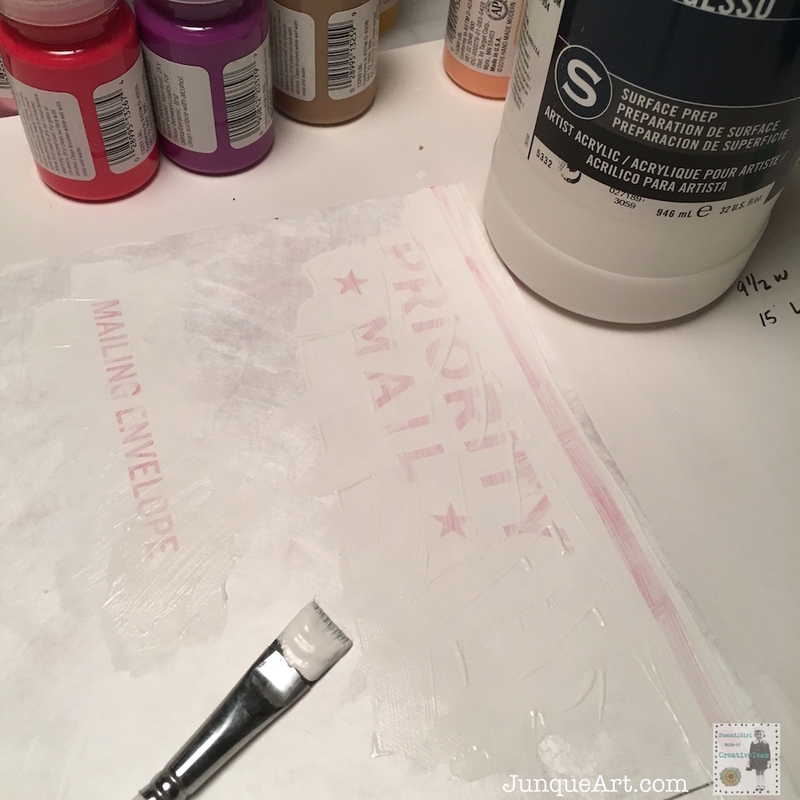 Let the gesso dry. 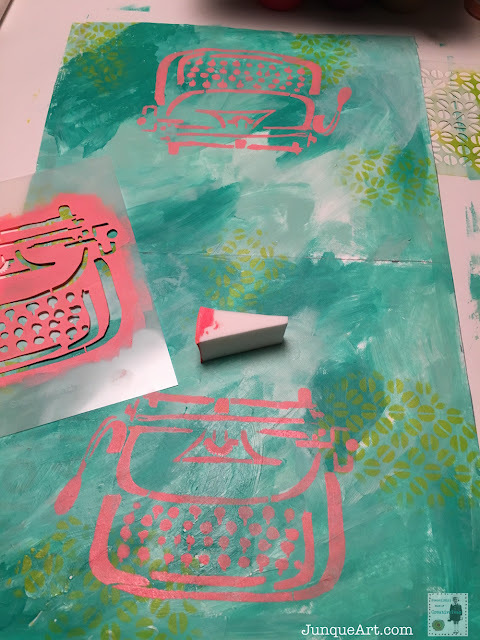 However, if you like the print peeking through the paint you could skip this step. 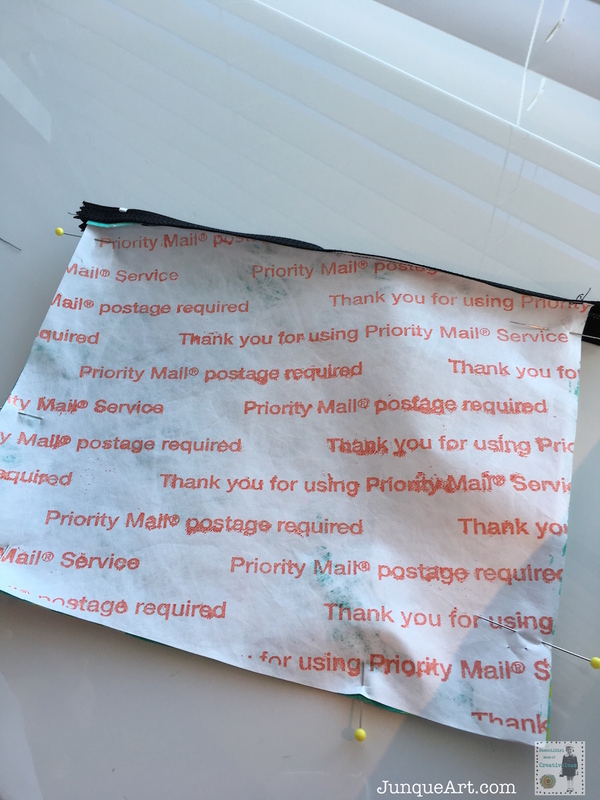 New envelopes are also available in solid white with no print. 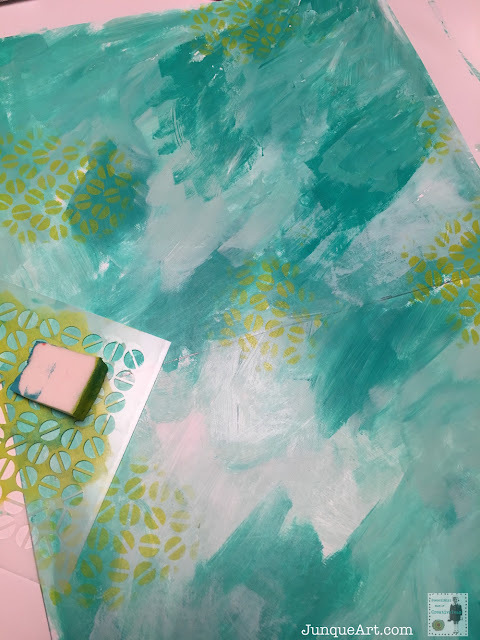 Start creating a background with paint. Go crazy and have fun! I used two different color blues along with white. 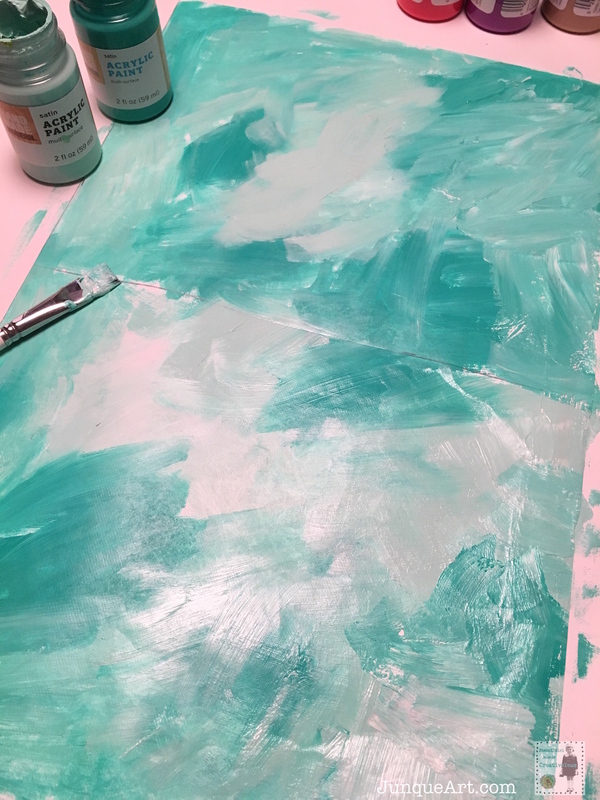 I did discover that you don't want to get the paint too thick and let it all dry before the next step. 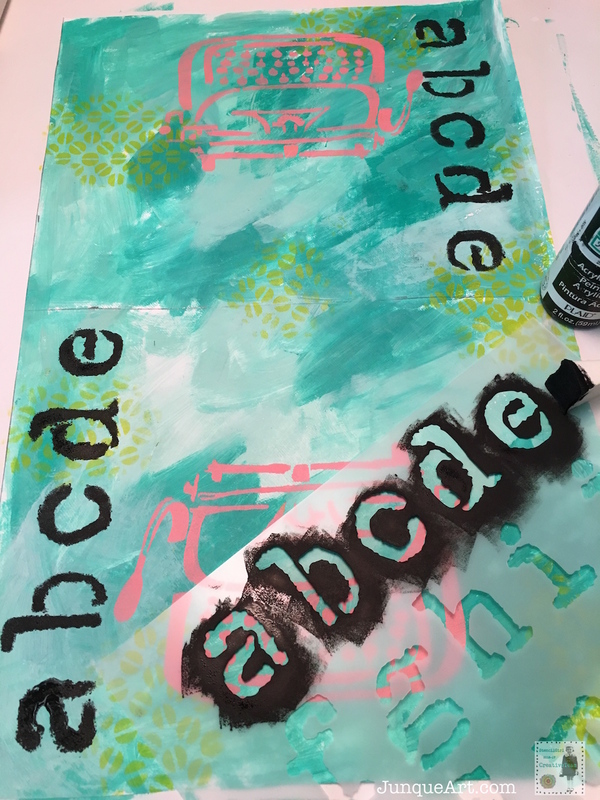 After your first layers of paint dry you can start stenciling. I started with the fun Screw Heads Mini stencil by Andrew Borloz to start adding some interest. Let dry. Next add the Typewriter Stencil by Nathalie Kalbach toward the bottom of each side. Let dry. If you are working on one large piece remember stencil opposite on each side and away from the middle line which will be cut later to add the zipper. 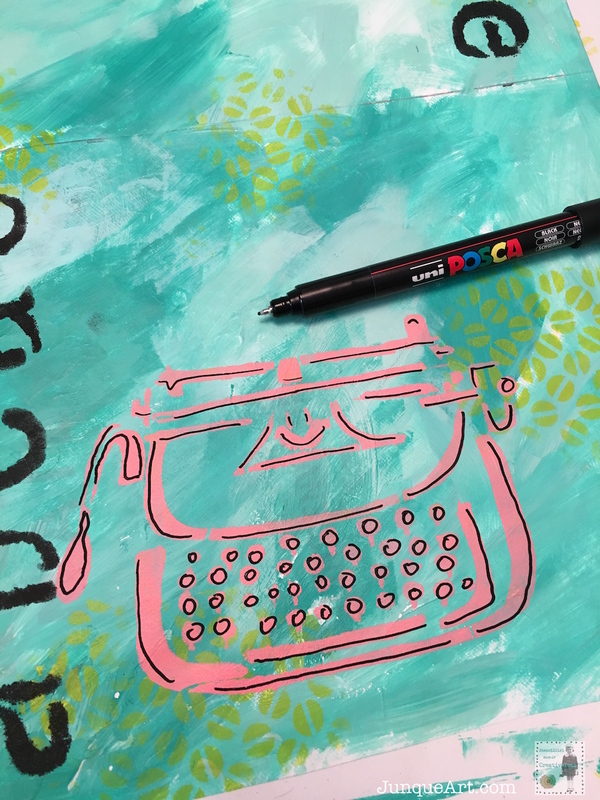 Then add some fun lettering with the Vintage Typewriter Alphabet Stencil by Carolyn Dube. I added on each side. Let dry. Add detail to the typewriter with a fine point paint pen or sharpie. Let dry. 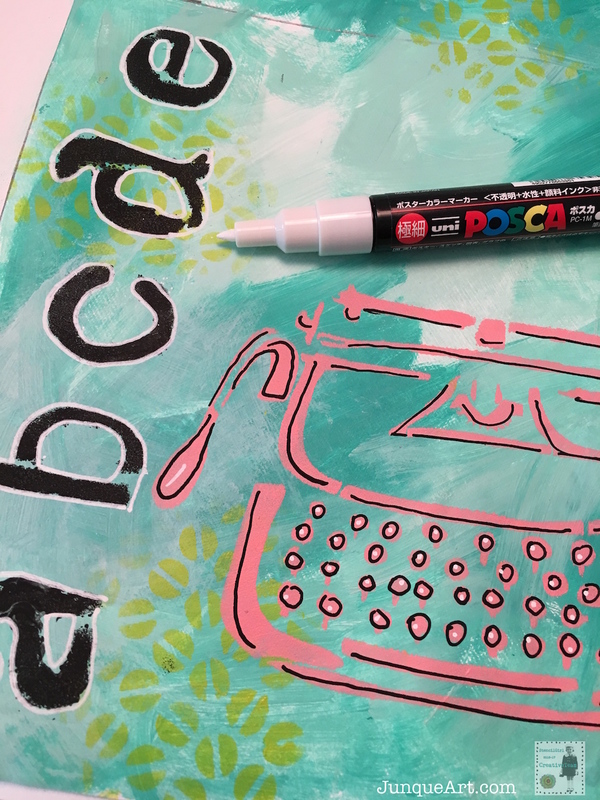 Add more detailing to the letters and typewriter with a white paint pen. Let dry. Now it's time to add a zipper. I wanted to try to use something I already had in my stash. I found a black zipper but it was way too long. No worries it's all going to get sewn into the pouch. So I just cut it shorter once I got it pinned on. Pin the zipper right side down to the right side of one of the sides of the pouch. 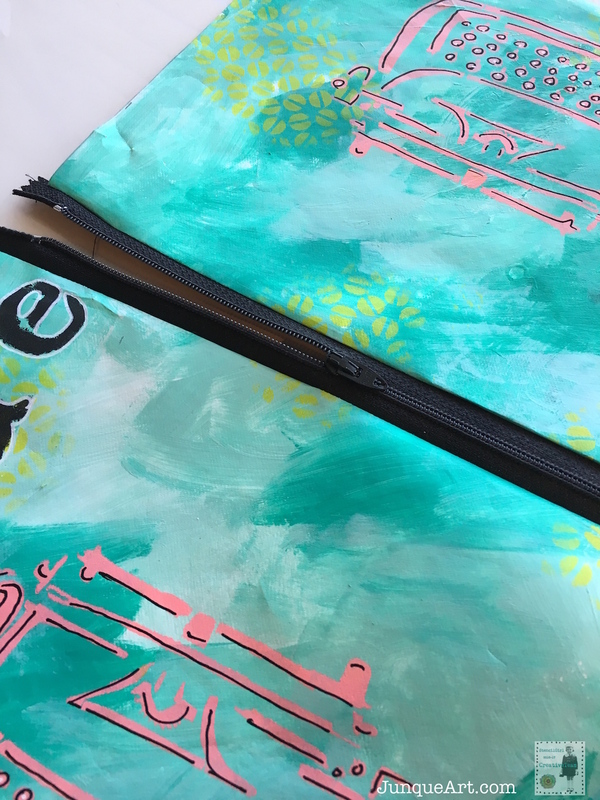 Make sure you line up the edge of the zipper fabric with the top edge of your painted piece. I pinned at each end just to hold in place. Stitch the zipper to the envelope piece being sure to run your foot right along the zipper part. You can use a zipper foot but I just used my regular foot and used the skinny side of the foot to go against the zipper. Be sure and back stitch at the beginning and end for added strength. Now it's time to add the zipper to the other side. Pin the zipper right side to right side of the second side. This picture may be a little confusing but I do have right side to right side just like I did the first side. Once you sew the zipper to both sides it should look like this when the pieces are open. Now unzip the zipper at 1/2 to 3/4 of the way. Now pin the right sides together. 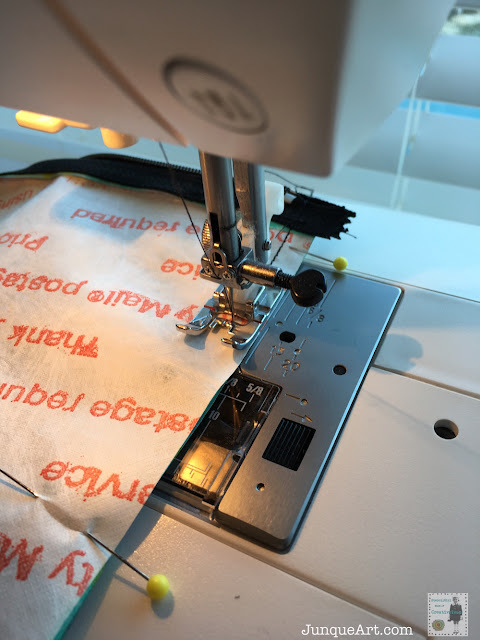 Try to fold the zipper part in half on each end. 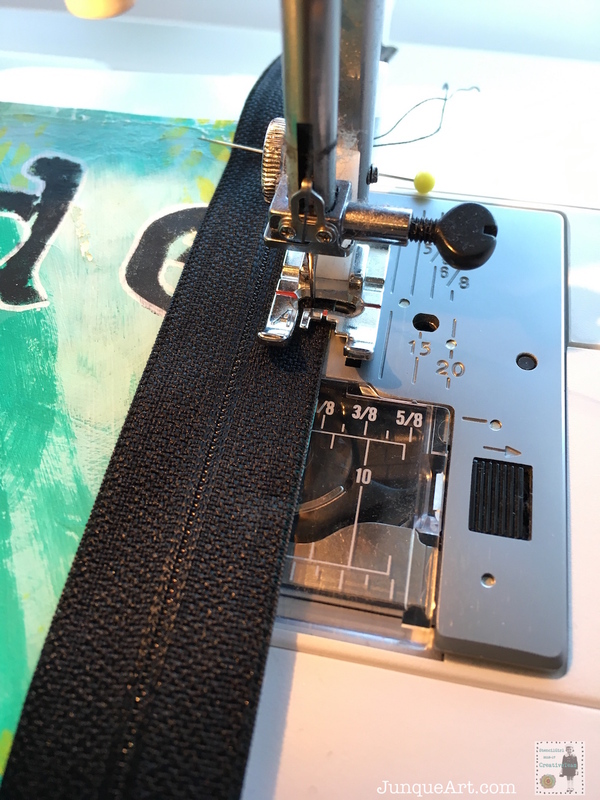 Sew around all three sides of your piece being sure to sew the zipper ends. I used the edge of my foot as a guide to keep my stitch straight. Cut the bottom corners at an angle being sure to not cut too close to the stitching. Now turn right side out by reaching inside the open zipper. Push the corner out gently to get them as turned as possible. After I turned my pouch some of my paint started to flake off. So after I turned gently I decided to add a thin coat of varnish that is pliable to keep the paint in place. I would recommend doing this as the last painting step before you start sewing. No worries though, that's the fun part of creating is learning and adjusting. 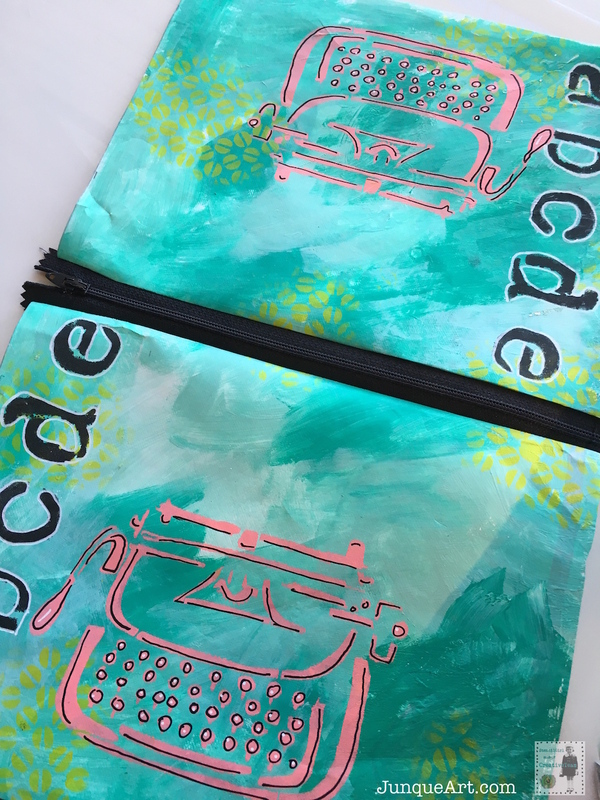 The tyvec does wrinkle when you turn it right side out, but I love the wrinkly look! And now you have a cute pencil or pen case! I'm pretty sure I will be making some more of these in the near future. 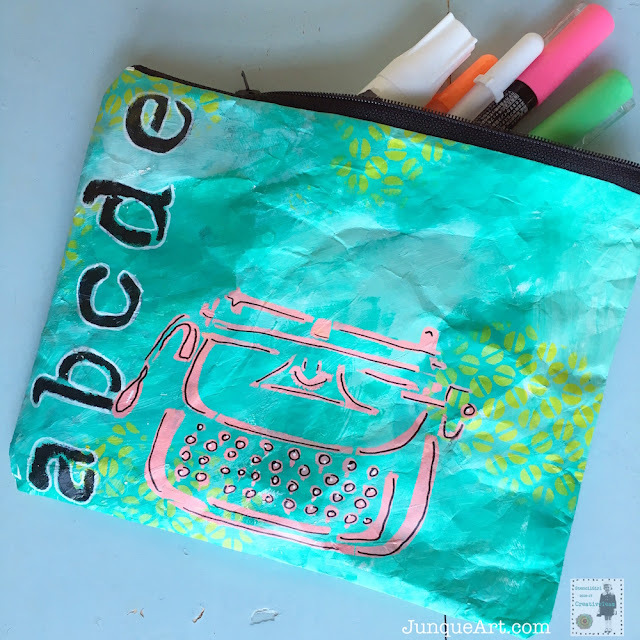 Fun, easy, and useful! Remember you can make them any size you would like! 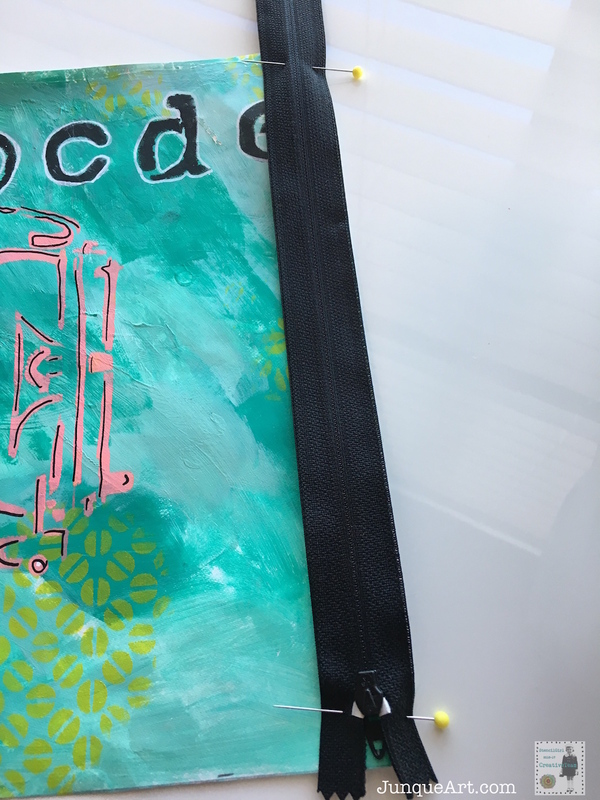 Mine will also hold my cute little moleskine art journal that I started for this year. So if I want to journal on the go I just throw in a few markers, glue stick, pencils, scrap paper, and my journal and I'm ready to go! I hope you enjoy making this cute pencil or art case! I would love to see what you make! 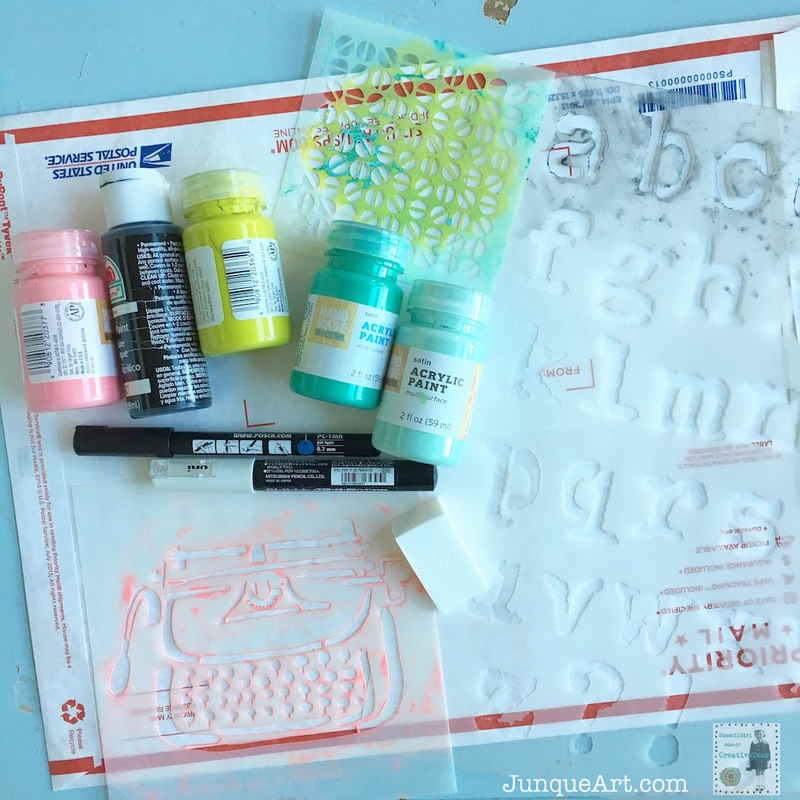 Def doing this I love the typewriter and alphabet stencil going in my wishlist!! This is so cool!!!! What a fab idea!!!! I love this idea. I am so glad you shared this project. 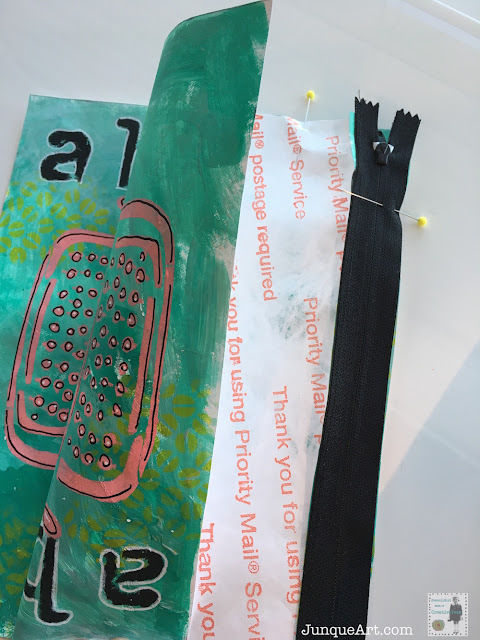 What a fabulous project turning a plain tyvek envelope into a conversation piece!